Aside from work and school, houses are where people and families spend most of their time, but how many people have taken steps to make their homes safer? June is national Home Safety Month. According to the CDC (Center for Disease Control and Prevention), each year more than nine million children under the age of 20 are admitted to emergency rooms across the country. Home Safety Month is an ideal time to learn about the top causes of household injuries and the steps you can take to prevent them. Create an emergency safety plan. Keep your plan simple enough that the youngest members of your family know what to do without having to find you first, but varied enough to account for the most common disasters in your area. Remember, it’s not enough to have a plan if you never practice it. Compile an emergency kit. 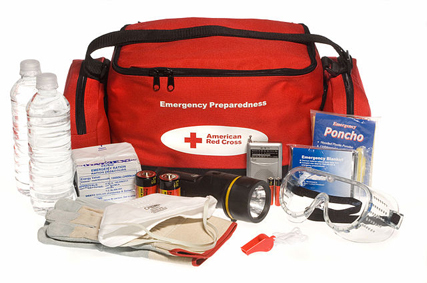 Be prepared for power outages and natural disasters by keeping necessities on hand. Essential items include flashlights, bottled water, nonperishable food and a first aid kit. Install smoke alarms on every floor of your house, and near fire hazards like fireplaces and stoves. Test the alarms and batteries regularly. Store medicines and toxic products in childproof cabinets and tape the phone number for the local poison control center to the fridge, along with other emergency contacts.